I Got the Best Dirt $5 Mil Can Buy!!! 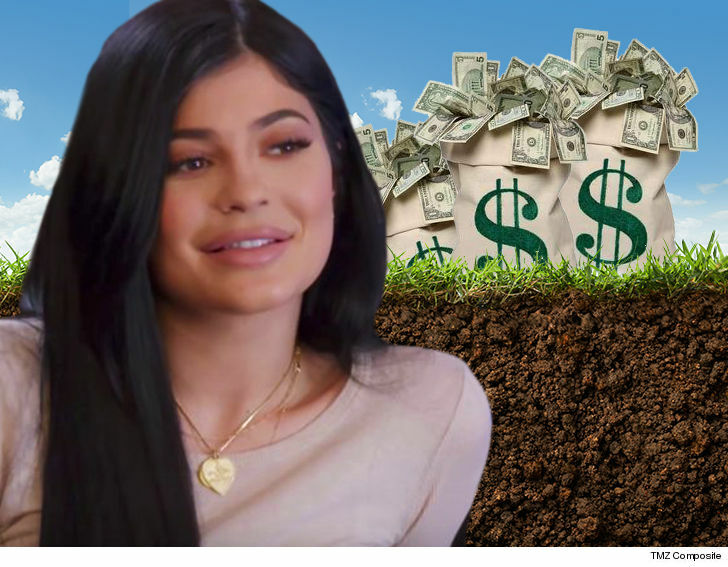 Kylie Jenner just threw down millions for a very well-placed pile of dirt, and it’s the first sign the mom-to-be could be looking to expand … TMZ has learned. Kylie scooped up the plot of land adjacent to her $12 million Hidden Hills home for a cool $5 million … ALL CASH! The corner lot is about 1.5 acres, and we’re told the plan is to turn it into a garden and possible barn with horses since there’s a ton of horse trails nearby. Although nothing’s set in stone yet … the purchase gives KJ plenty of room — 3 acres when combined with her current crib. She could also build a badass playground for that baby she’s got on the way. As we told you, the Kardashians just signed a new $150 million TV deal — and while the elder sisters are getting a bigger chunk of the deal, Kylie’s obviously more than making due. Kylie’s go-to realtor, Tomer Fridman of Compass, helped her seal the deal.